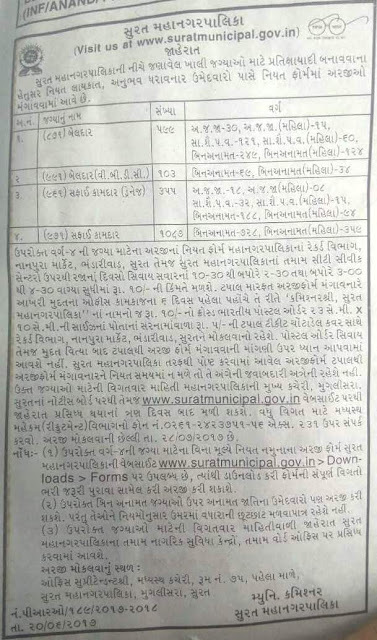 Surat Municipal Corporation Recruitment 2017 | 2144 Post | Beldar (Labor) & Sweeper Posts : Surat Municipal Corporation has published Recruitment notifications for below mentioned Posts 2017. More information please read below mention details carefully. 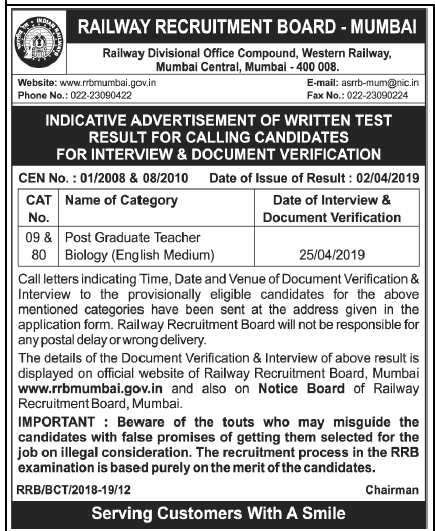 Address to sent Applications: Office Superintende Central Office, Room No. 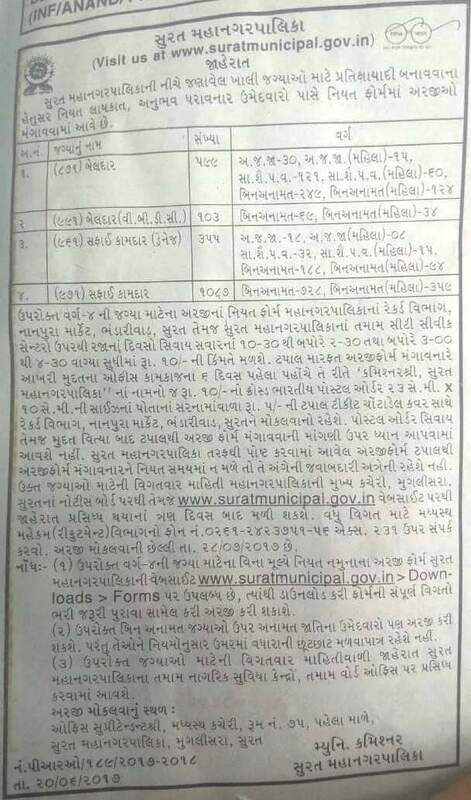 75, 1st Floor, Surat Municipal Corporation, Muglisara, Surat.